Speaking of Tsukiji, you might have strong imprssion of fishes, but chicken is delicious, too. Of course, Tsukiji isn’t meat market and it don’t have slaughterhouse, but a high quality wholesale and retail company of chicken that is named “Torito” is out of Tsukiji market. I don’t know why Torito decided to stay here though the largest meat market in Tokyo is in Itabashi, far from Tsukiji. 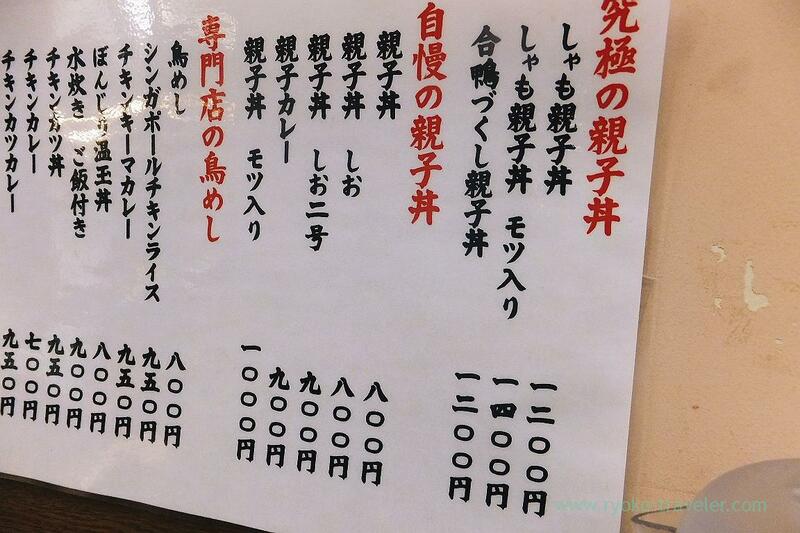 So, we can eat good chicken meat at Tsukiji, too. 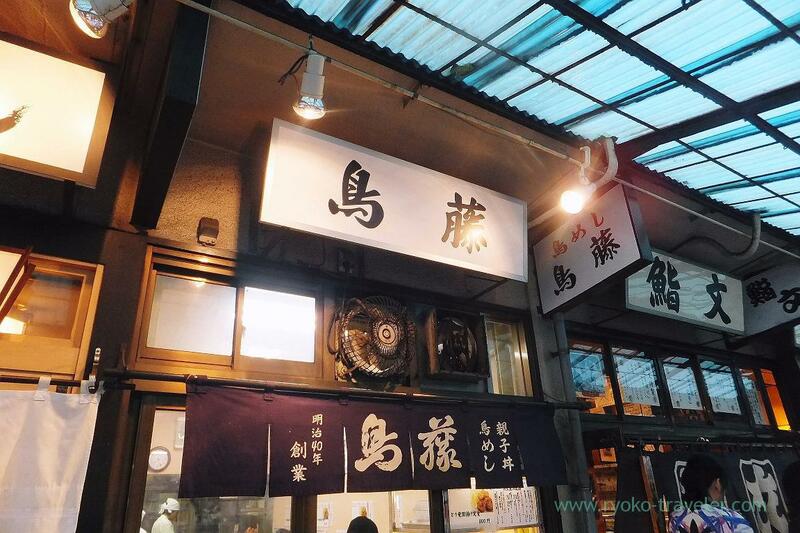 Three eateries that serve chicken in Tsukiji Market are Yonehana, Odayasu and Torito’s directly-managed shop. 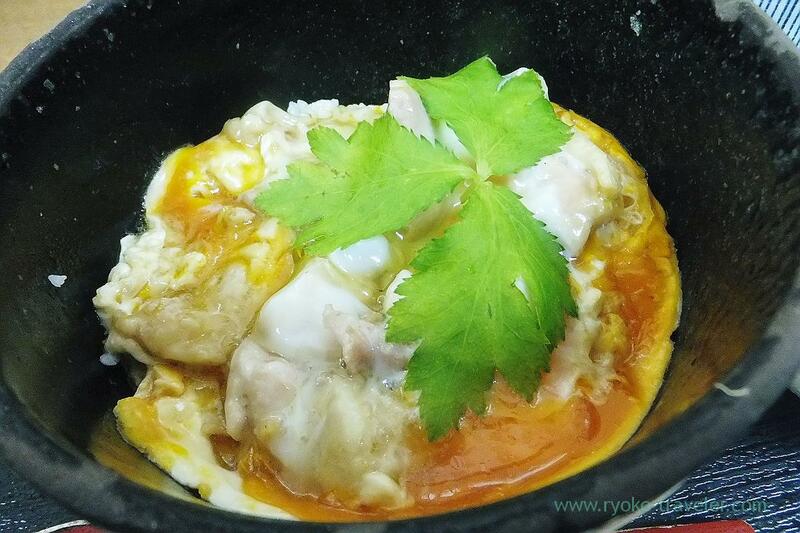 Especially Torito prepare about eight kinds of oyakodon. I had eaten two kinds of oyakodon here. 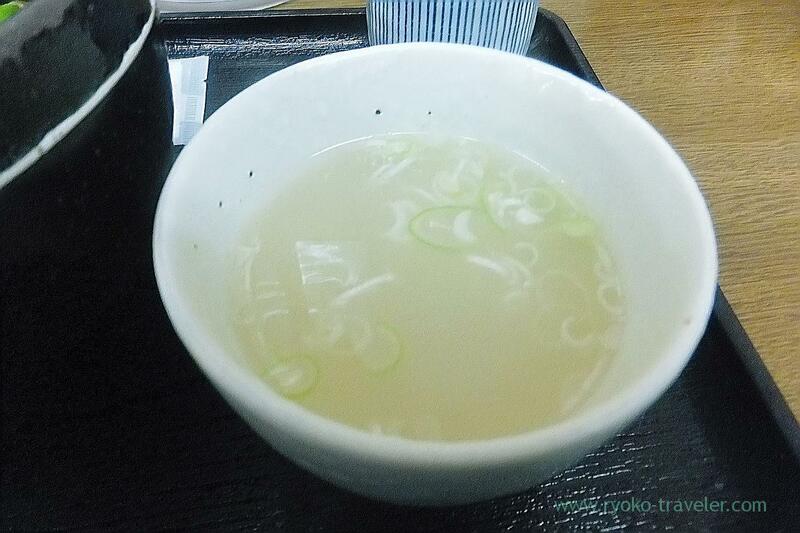 And that time, I tried Shio Oyakodon Part2 (親子丼しお二号, 900 yen). 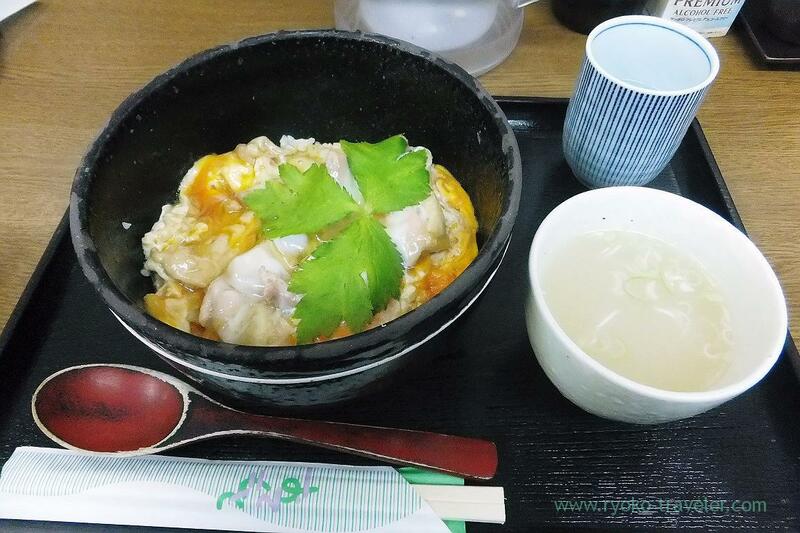 Shio oyakodon part2 is based on Shio oyakodon and more , seasoned with dried bonito. Torito’s oyakodon have almost raw yolk. The chicken was springy and I couldn’t stop my hand with chopsticks ! You can buy oyakodon as bento in a box to go. Maybe the chef must have heated eggs more for bento. I feel like eating Torito’s hot oyakodon and soup in such a chilll morning.